If you can’t make it to the tailgate this weekend why not home-gate? 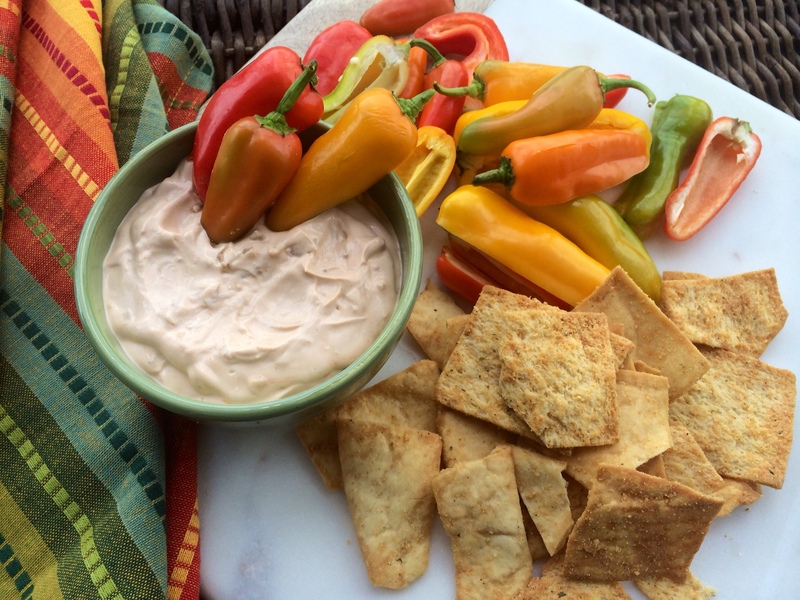 Football season is underway, and what better way to kick off the game with homemade snacks in your living room. Prepping game-day food can sometimes be exhausting and overwhelming, yet it shouldn’t be. Luckily this football season, I partnered with TABASCO and Hellmann’s to bring you the Hail Mary of game day snacks. Looking for a fast and easy way to bring the feel of tailgating into the comfort of your own living room? 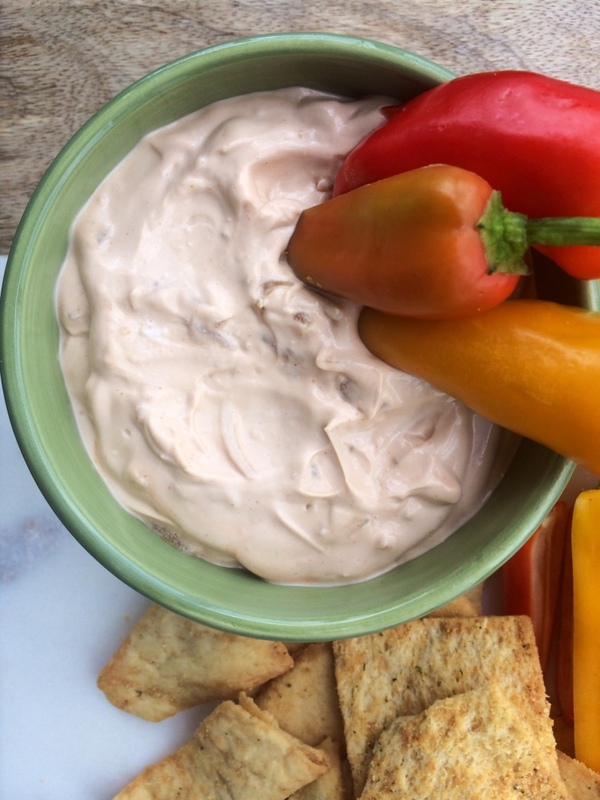 Creamy-cool yet zesty, this Creamy Chipotle Onion Dip is sure to make your crowd go wild. 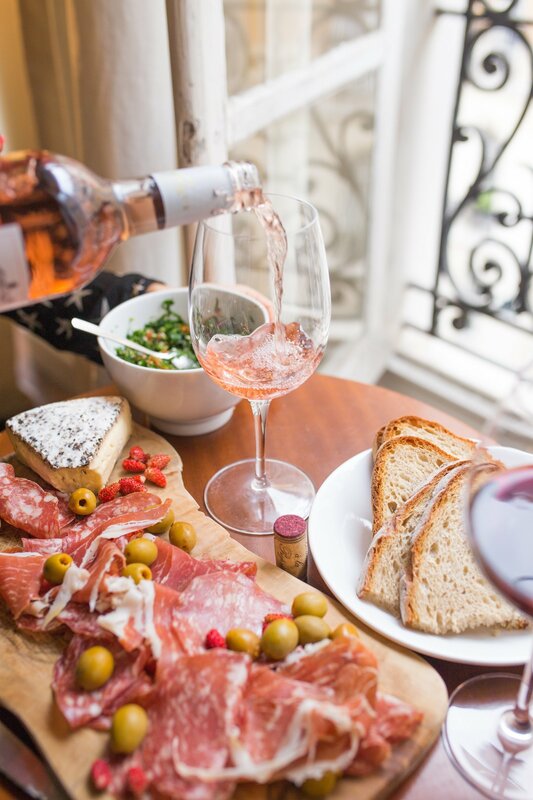 It can be difficult to find a game day appetizer that can be thrown together in less than 15 minutes. You know what I always say… It’s always important to have time left over to curl your hair! A light bite that only requires four ingredients can be mixed up right before the start of play and you won’t waste precious game time in the kitchen. 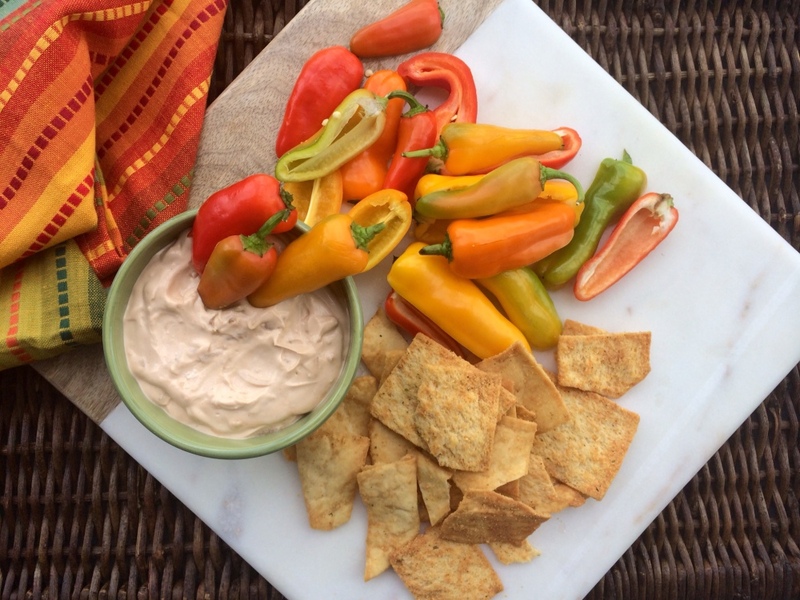 Dippers should also be simple, so I like to choose two of my favorites: toasted pita chips and crisp peppers. 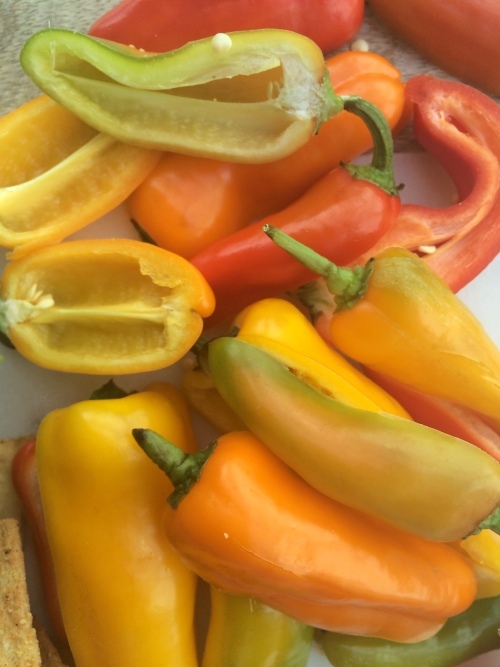 The salty chips balance out the fresh crunch of the peppers. 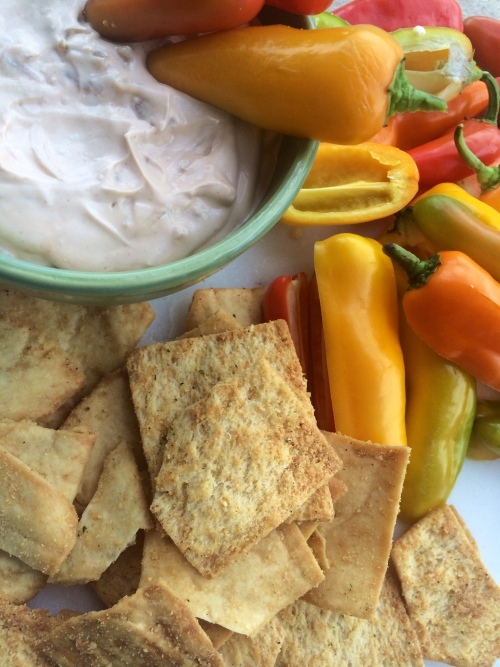 Plus, when using mini peppers they make a great boat for dipping when cut in half and who can resist a good pita chip!? 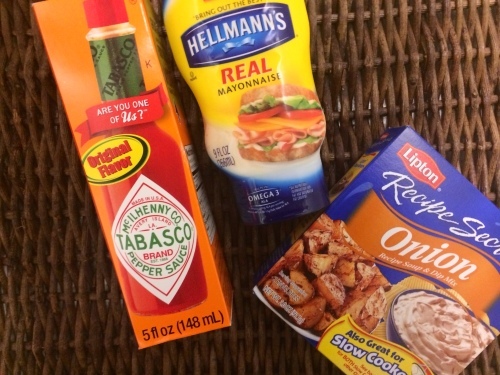 TABASCO Original Pepper Sauce and Hellmann’s will fire up your home-gate and take it to the next level for an award winning game day bite this football season. •Chill if desired. Serve with your favorite dippers.